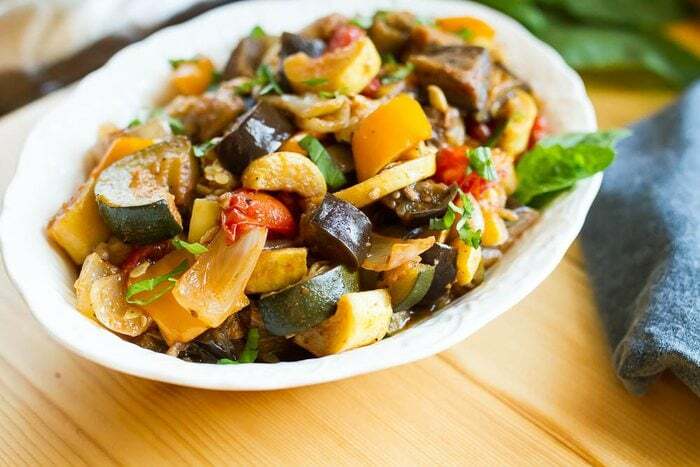 A delicious slow cooker ratatouille with summer vegetables. Serve as a side, over rice or quinoa, with a grilled protein or even in an omelet. 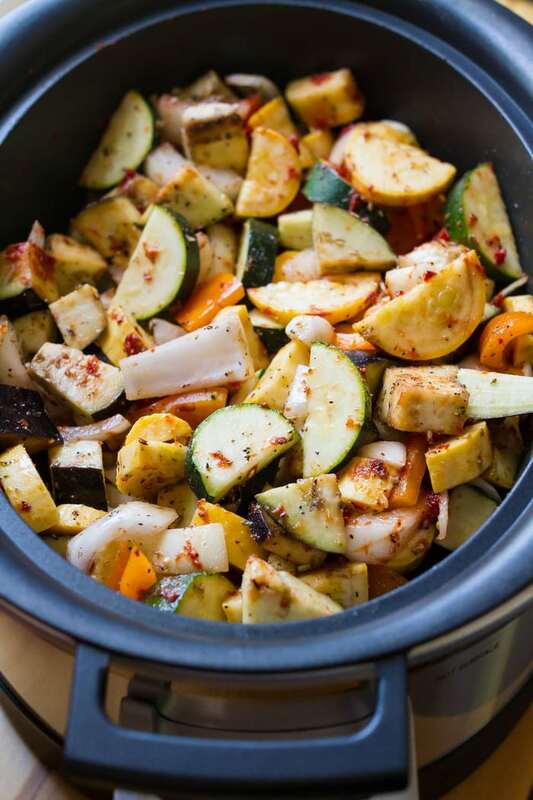 Important question…where is your slow cooker right now? Is it tucked away in a cabinet? Hiding out in the basement? I know that most people, myself included, tend to forget about slow cooking over the summer because it’s HOT and we’re drawn to cold foods, but there are plenty of summer slow cooker recipes to be made! 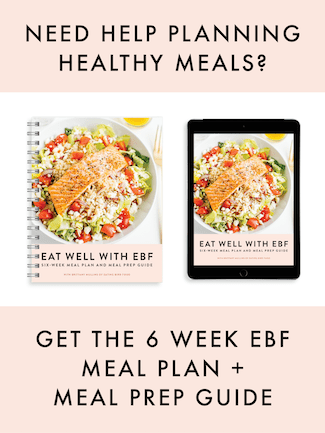 To prove it I’m teaming up with my favorite blogging friends to bring you a host of healthy slow cooker recipes that are perfect for summer. 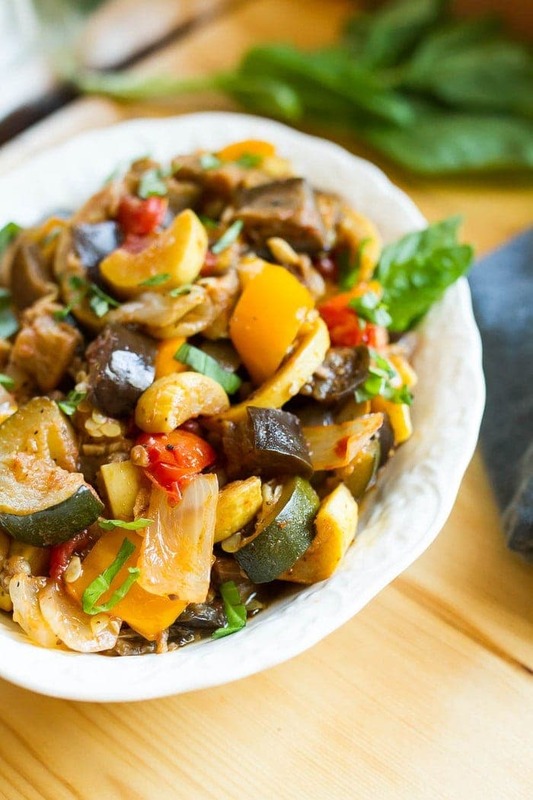 My contribution to this roundup is a slow cooker ratatouille and I’m pretty sure this dish is going to become a summer staple because Isaac and I both LOVED it. It’s not only amazingly easy to toss together, but it’s absolutely delicious and so versatile. In terms of picking what veggies to use for the ratatouille, I simply went to our local farmers market and stocked up on all the summer veggies I could find — onions, squash, zucchini, tomatoes, bell pepper, eggplant and fresh basil. That’s really all you need to make a good ratatouille. 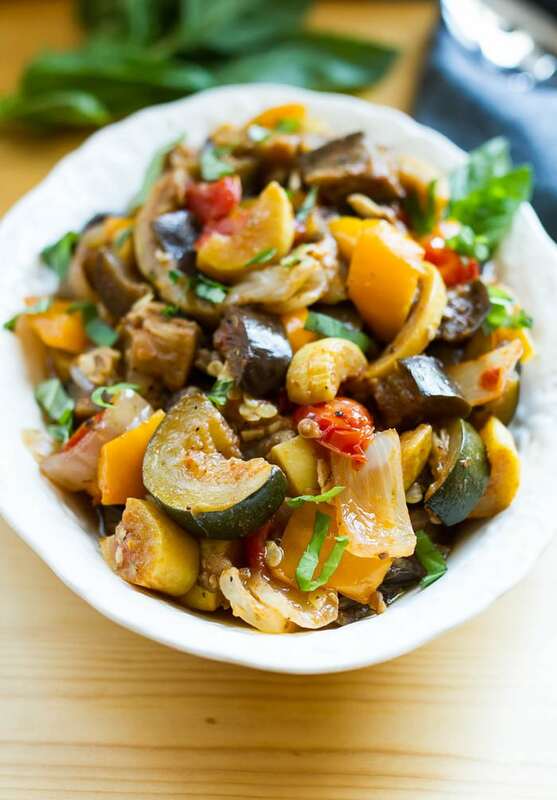 Ratatouille is usually sautéed, baked or simmered in a large pot but the slow cooker makes it so easy. You simply toss all your ingredients in, set it and forget it… for a few hours. Trust me, you won’t be able to forget it for long because after a couple hours your house will smell like an amazing Italian restaurant. And once it’s cooked you’ll be delighted by the flavor. Summertime slow cooking has never been better. I hope you love this recipe and all the others I’m sharing today. Enjoy! Caribbean flavors come together in this delicious slow cooker pulled chicken that’s topped with a simple fresh mango salsa. Make it a light, yet hearty meal by piling this flavorful chicken into your lettuce wraps, top with your favorite add-ons, and devouring! No need to order takeout with this Slow Cooker Sweet and Sour Chicken. Perfectly tart and sweet all at the same time, this easy, one-pot dinner recipe is sure to be a family favorite! This slow cooker frittata is bursting with grated zucchini, sun dried tomatoes, basil and prosciutto then topped with a simple arugula salad. Great for a summer breakfast or dinner! This whole30 approved slow cooker mango chicken has a sweet mango coconut sauce and sweet potatoes! It’s a healthy, one pot meal that’s perfect for busy weeknights! 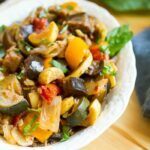 I love making ratatouille in the summer, and that you figured out how to do it with the slow cooker. What a great idea for a link up! 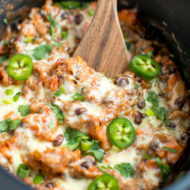 This looks fantastic and I love using my slow cooker! You know what? I’ve NEVER had ratatouille! BUT this looks SO good girl..I need to change that! Pinned! No way!! You’d love it. This looks amazing! I feel like we usually keep slow cooker recipes for winter but I love the idea of pulling it out for summer meal prep! I’m definitely going to be trying this! I hate to admit this, but, my slow cooker is tucked away in a cabinet! I better dust it off for sure because, looking at this line-up, my slow cooker needs to be become a permanent fixture on my counter! 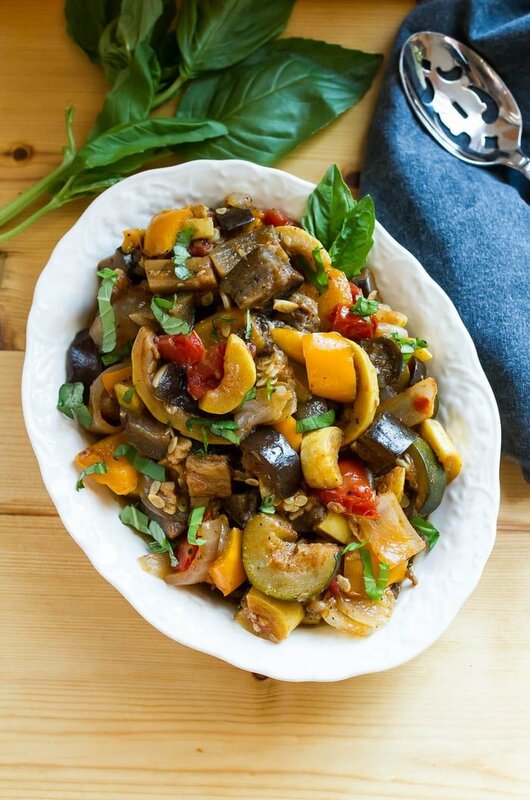 This ratatouille looks BEYOND amazing! I’ve always wanted to try ratatouille too. It sounds amazing! And I don’t have a slow cooker unfortunately, which means that I have to get one! Oh girl, you have to get a slow cooker! 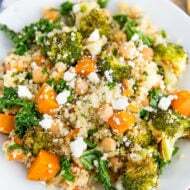 There are so many great slow cooker recipes out there and coming home to a fully cooked meal (in the slow cooker) after a long day of work is simply amazing. I love ratatouille! Never thought to make it in the slow cooker before, but what a brilliant idea! I’m going to have to try this for some easy work lunches! Can this be done on the stovetop on low? How long would you suggest? I don’t see why it wouldn’t work on the stovetop using medium/low heat. That said, I don’t know how long it will take because I haven’t tried it. I’m guessing 20-30 minutes — maybe less. I’d just keep stirring and checking it and stop cooking when the veggies are tender to your liking. Let me know if you try it!! 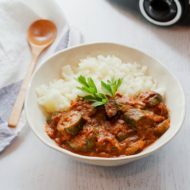 I’ve been looking for a good slow-cooker Ratatouille recipe, after reading the comments, I definitely need to try it. Could this be scaled down for a 4 quart slow cooker? Any recommendations on adjustments? Hi Andy! So glad you found my recipe. I think your best bet would be to half the recipe for a 4 quart slow cooker! Let me know how it turns out.